For any home or business owner, even one break-in can be devastating. In one night you could lose everything, including your work, money, electronics, and important documents. Luckily, our residential and commercial security installation firm can stop thieves and burglars from taking away what’s important to you. Criminals are keeping up with technology, so we provide systems that will let you get ahead of them with the highest level of protection and technological advancement. Our security cameras catch the criminals even when locks are picked and windows are broken. You may not be able to watch everyone in your home or place of business every second, but our cameras can! 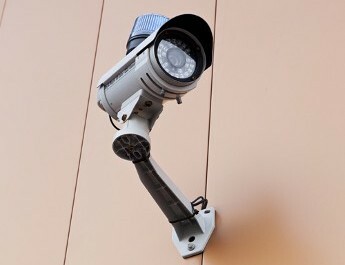 Our complete surveillance package consists of multiple cameras connected to a DVR device that’s perfect for both residential and commercial areas. You can view the images recorded by this device on your computer so you can monitor what’s going on and what’s been previously recorded from wherever you are. With our security system, you’re able to check on your children when you’re at work or out for a night. They’ll love the freedom of playing outside, and you’ll love the comfort of being able to keep an eye on them wherever you are. When you set up our security cameras in your office, you’re able to keep your customers and employees accountable. That way, you’ll never have to worry about what may be going on when you’re not around. Say goodbye to stealing and shoplifting and hello to peace of mind. The best products require the most technologically advanced installations in order to function properly, which is why we’re proud to offer the finest security camera installation on the market. Choose from pan styles for parking lots and lawns to stationary designs for doors and windows. We can hide the units in places intruders won’t think to look, like trees or under building eaves. The cameras will be high enough that a criminal can’t tamper with them, yet low enough to provide lasting visual proof of the crime. Our experts are here to help you figure out what system is best for your property. We’ll help you determine how many cameras you need, the best places to put them, and how to get the most out of each camera installed. Rely on our experienced team to install cameras, which can be wired or wireless. We are experienced at finding discreet placement points, such as recessed settings, flush mounts on a wall, posts, trees, and more. Gain peace of mind with our help, and keep track of the things that are most important in your life. Contact us for an estimate of your property’s security needs. We proudly serve customers in Tampa, Brandon, Riverview, Carrollwood, and Land O’Lakes, Florida, and surrounding communities.